A little over a year ago IBM, NVIDIA and the Department of Energy announced a collaborative effort to build two new supercomputers by 2018, each over 100 petaflops, for the Oak Ridge and Lawrence Livermore National Labs. This week, IBM and NVIDIA take a big step forward towards building these two supercomputers by overcoming a major hurdle that will change accelerated computing as we know it. Acceleration of data analytics applications using GPU accelerators has long been limited by the bandwidth of the PCI-e interface that interconnects CPUs and GPUs today in servers. In a whole set of applications, CPU to GPU data movement is critical. In particular, applications such as databases, data analytics, machine learning, computational fluid dynamics, and weather and climate codes often require intense computing in several, albeit small, portions of the application. 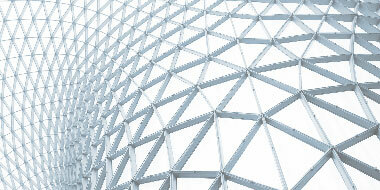 IBM and fellow founding OpenPOWER member NVIDIA teamed to achieve breakthroughs in application performance. After two years of collaboration, IBM and NVIDIA are announcing a key enabling technology: the NVLink high-speed interface between IBM’s POWER8 CPU and NVIDIA’s Pascal GPU. 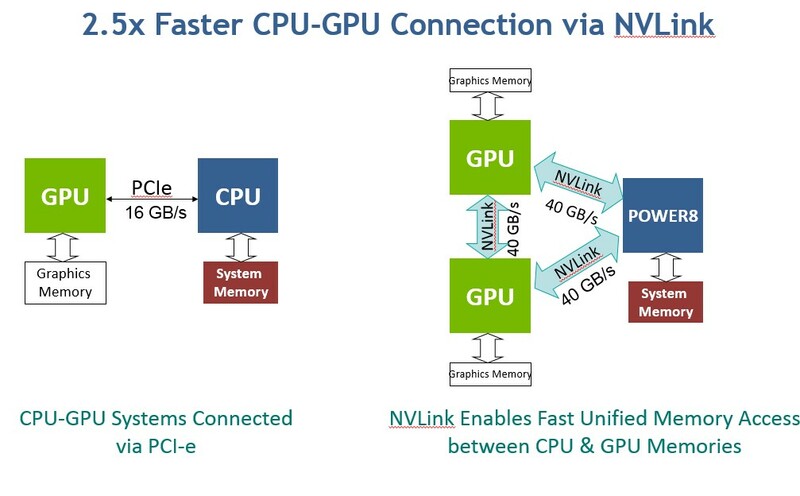 The NVLink interface can help developers to more easily accelerate applications with GPU accelerators by incrementally moving parts of the application and data to the GPU. For example, a database application can execute some of the database operations on the CPU, but offload, say, the “sorting” algorithm to the GPU accelerator by quickly transferring the data to and fro from the CPU to the GPU. 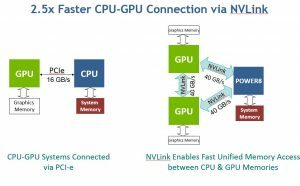 NVLINK holds the potential to enable a whole new set of applications to take advantage of GPU accelerators, and I’m excited about the possibilities. IBM intends to announce a next- generation Power Linux server optimized for high performance computing (HPC) and high performance data analytics (HPDA) that uses the NVIDIA NVLink high-speed interface to connect POWER8 CPUs with NVIDIA Tesla P100 GPU accelerators based on the Pascal architecture. We expect a whole new set of enterprise data analytics and cognitive applications will take advantage of GPU accelerators because of the CPU-GPU NVLink system architecture in this new server. 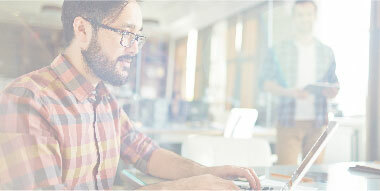 In addition, to help developers best take advantage of our NVLink-based processors and see the potential for performance gains for themselves, IBM and NVIDIA are establishing the “IBM-NVIDIA Acceleration Lab.” In the spirit of OpenPOWER collaboration, our acceleration experts will work side by side with developers from our clients to help get the best performance out of IBM Power Systems with NVIDIA GPUs. On behalf of IBM and NVIDIA, I am pleased to invite client development teams interested in the Acceleration Lab to contact us at accellab@us.ibm.com. 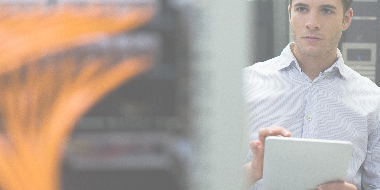 Tell us about what you will build, as we are always interested in compelling use cases that we may select for early, remote access to our next generation server.